Published in: Silva, P.C., Meñez, E.G. & Moe, R.L. (1987). Catalog of the benthic marine algae of the Philippines. Smithsonian Contributions to Marine Sciences 27: [i-ii] iii-iv, 1-179, 2 figs, 1 table. The type species (lectotype) of the genus Gracilaria is Gracilaria compressa (C.Agardh) Greville. Named for Eugène Vieillard (1819-1896), a French naval surgeon and naturalist who collected in New Caledonia and Tahiti and was director of the Jardin Botanique de Caen. Gracilaria vieillardii P.C.Silva is a replacement name for G. denticulata Weber-van Bosse, a later homonym of G. denticulata F.Schmitz ex Mazza (1907: 138). see Sphaerococcus denticulata Kützing Notes: Holotype: L00560093 (Lin et al. 2012). Abbott, I.A. (1994). 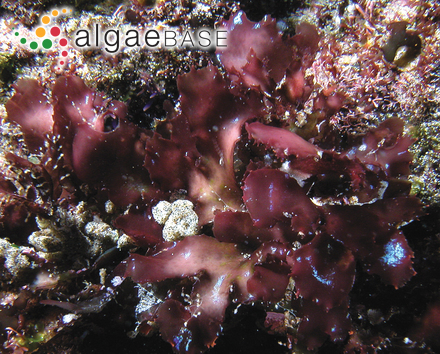 New records and a reassessment of Gracilaria (Rhodophyta) from the Philippines. 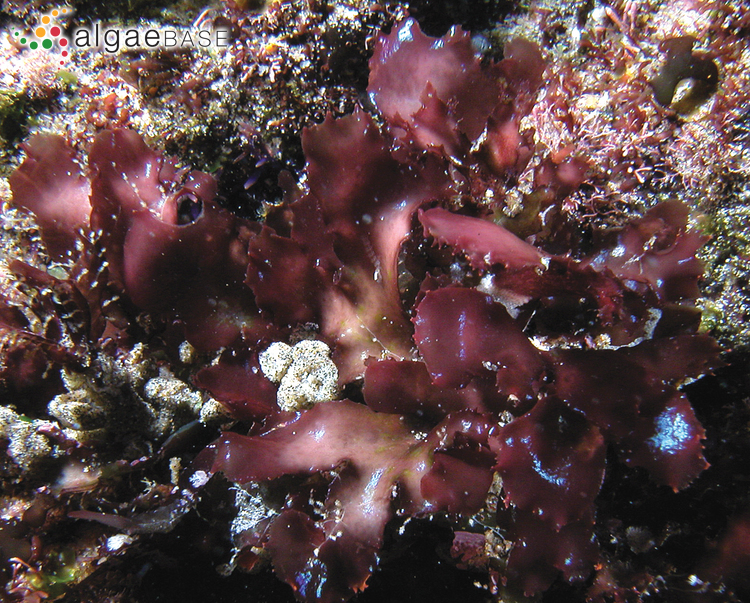 In: Taxonomy of economic seaweeds with reference to some Pacific species. (Abbott, I.A. Eds) Vol.4, pp. 111-118. Calif. Sea Grant College. Gurgel, C.F.D., Norris, J.N., Schmidt, W.E., Le, H.N. & Fredericq, S. (2018). Systematics of the Gracilariales (Rhodophyta) including new subfamilies, tribes, subgenera, and two new genera, Agarophyton gen. nov. and Crassa gen. nov. Phytotaxa 374(1): 1-23. Iyer, R., Tronchin, E.M., Bolton, J.J. & Coyne, V.E. (2005). Molecular systematics of the Gracilariaceae (Gracilariales, Rhodophyta) with emphasis on Southern Africa. Journal of Phycology 41: 672-684. Accesses: This record has been accessed by users 1855 times since it was created.